Italian draftsman, printmaker, architect, and art theorist. 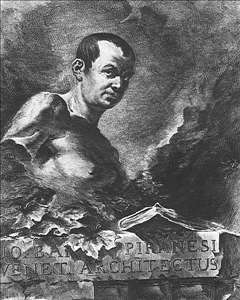 His large prints depicting the buildings of classical and postclassical Rome and its vicinity contributed considerably to Rome s fame and to the growth of classical archaeology and to the Neoclassical movement in art. 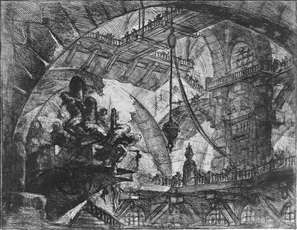 At the age of 20 Piranesi went to Rome as a draftsman for the Venetian ambassador. 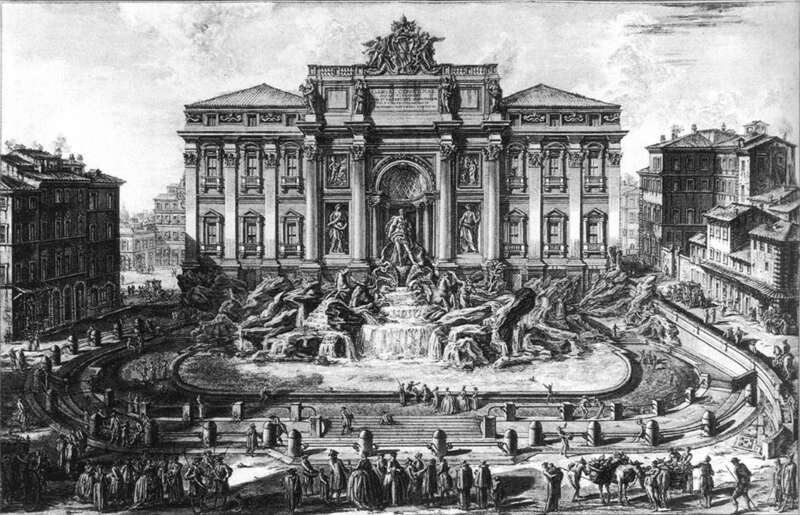 He studied with leading printmakers of the day and settled permanently in Rome in 1745. 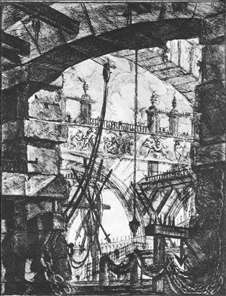 It was during this period that he developed his highly original etching technique, producing rich textures and bold contrasts of light and shadow by means of intricate, repeated bitings of the copperplate. He created about 2,000 plates in his lifetime. 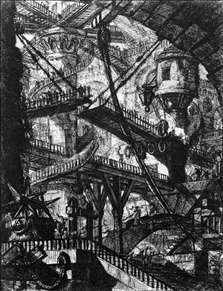 The Prisons (Carceri) of about 1745 are his finest early prints; they depict ancient Roman or Baroque ruins converted into fantastic, visionary dungeons filled with mysterious scaffolding and instruments of torture. Among his best mature prints are the series Le Antichità romane (1756; Roman Antiquities), the Vedute di Roma (Views of Rome; appearing as single prints between 1748 and 1778), and the views of the Greek temples at Paestum (1777-78). His unparalleled accuracy of depiction, his personal expression of the structures dramatic and romantic grandeur, and his technical mastery made these prints some of the most original and impressive representations of architecture to be found in Western art. 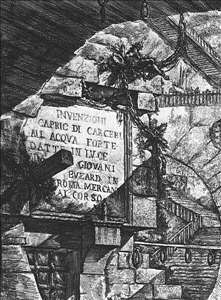 See more details about "Carceri d'Invenzione"
See more details about "The Prisons (plate VII)"
See more details about "Prisoners on a Projecting Platform"
See more details about "The Prisons (plate IV)"
See more details about "The Trevi Fountain in Rome"